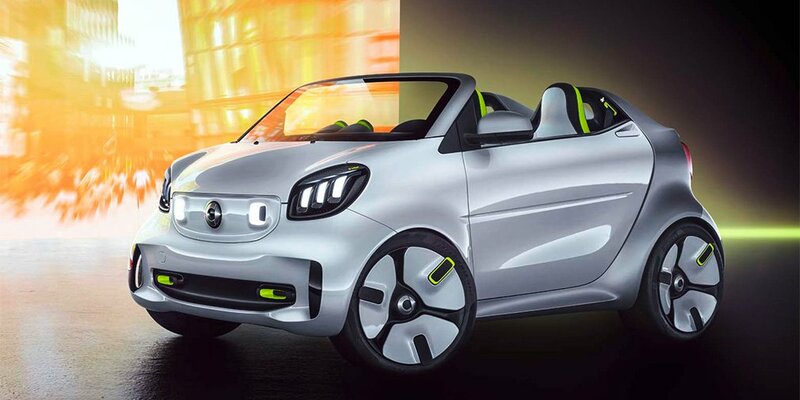 A novelty was made based on the EQ ForTwo Cabriolet, and the engine in it is an 80-horsepower electric motor. Roadster dynamics are classified. AutoExpress writes that the 'hundred is typed by Forease in 11.5 seconds, with a maximum speed of 130 km/h. With a brand new design, Forease will recall Forspeed and Crossblade prototypes. The car has LED optics, a diffuser, as well as a spoiler, 18-inch wheels and 3-dimensional flashlights. The interior of the novelty is supplemented with 2 additional screens, but not air vents, plus there is an unusual steering wheel, like in an airplane. Smart will convert all its cars into electric after 2020.